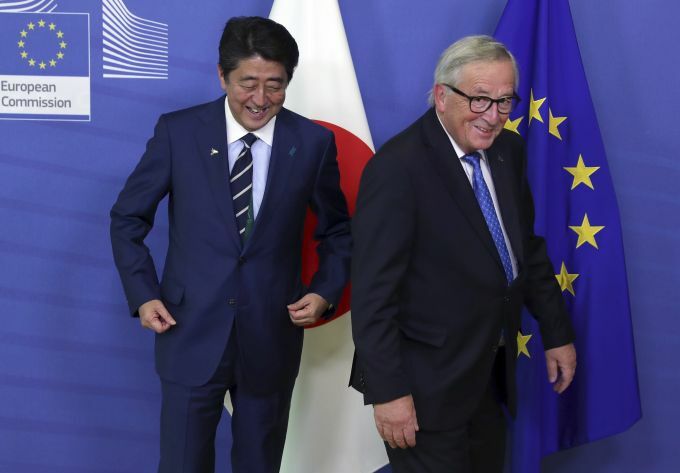 Brussels : European Commission President Jean-Claude Juncker, right, greets Japan's Prime Minister Shinzo Abe in Brussels, Thursday, Oct. 18, 2018. 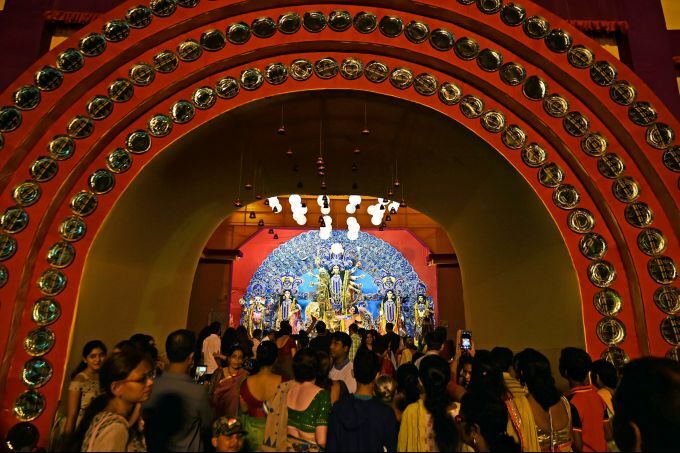 Kolkata: Devotees throng at a community puja pandal to celebrate 'Maha Navami' of ongoing Durga Puja festival in Kolkata, Thursday, Oct 18, 2018. 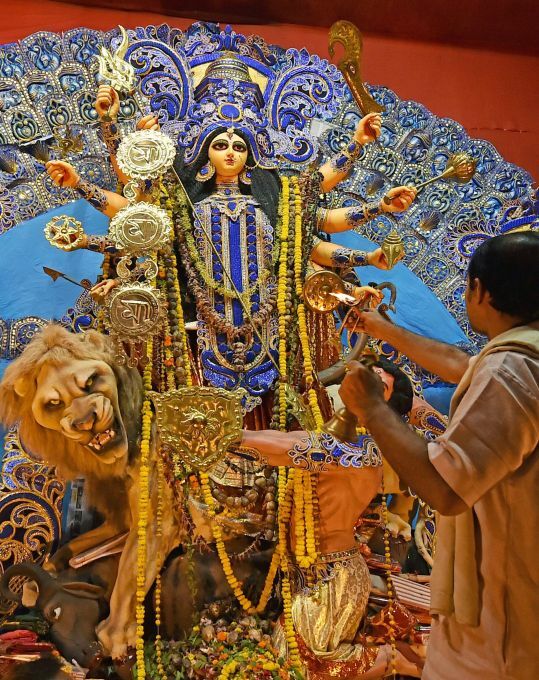 Kolkata: A priest offers evening prayers during 'Maha Navami' puja at a community puja pandal in Kolkata, Thursday, Oct 18,2018. Brussels : President of Mongolia Chaltmaagiin Battulga, right, meets with German Chancellor Angela Merkel on the sidelines of the ASEM 12 in Brussels, Thursday, Oct. 18, 2018. The informal meeting, which is held every two years, will discuss peace moves on the Korean Peninsula, migration, cybersecurity, fighting extremism and combating climate change. 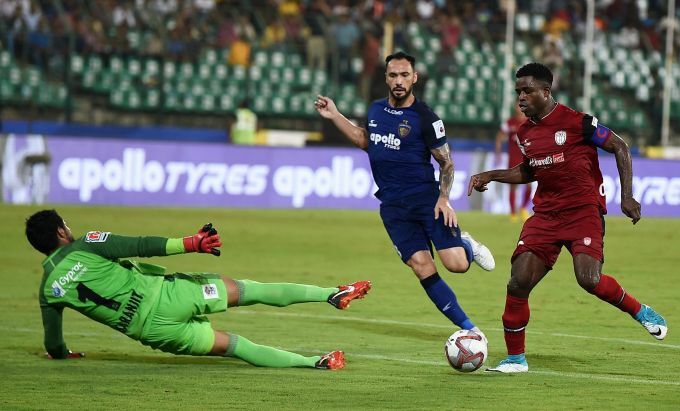 Chennai: NorthEast United FC footballer Bartholomew Ogbeche hits a goal against Chennaiyin FC during the 5th season of Indian Super League (ISL) 2018, in Chennai, Thursday, Oct. 18, 2018. Bartholomew Ogbeche scored thrice in the first 45 minutes! The Highlanders’ frontman becomes the first hattrick scorer of the season. 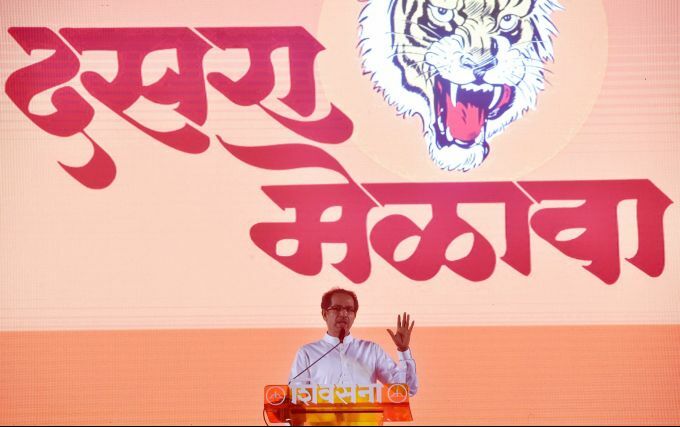 Mumbai : Shiv Sena chief Uddhav Thackeray addresses the Dussehra rally at Shivaji Park in Mumbai on Thursday, Oct 18, 2018.